Hey Bell Media! And The Source! And Apple! Well actually, here’s a call out to Mr. George Cope , CEO of Bell Media Canada, and Mr. Tim Cook , present CEO of Apple. (You gentlemen DO have a Google alert set up on your names and companies, right?) You look like very nice men and obviously you are both very savvy computer/tech/ business guys to have gotten where you are, so I’m hoping you will see past my “mad” in this rant, and take notice of my complaint therein. This may be of some interest to you …. Here’s the scoop: I am a confirmed PC user who over the past 2 years has been slowly converting to Apple, via my iphone (gift from the kids), and MacPro laptop (gift from Hot Stuff Hubby). All through this past Christmas, I was receiving emails from The Source (and I’m not gonna link that, ‘cause I’m mad at The Source, too, so won’t be sending any readers to that site via ‘the Source’s’ link!). Anyhoo, the emails were advertising the Apple 16 GB ipad mini 3 (in the new color of gold, no less) for $99! My books to this point had been available exclusively on Amazon, but I was toying with the idea of also putting them in Apple’s online store, intending to write my next book directly on my ipad mini. I tried to order one online. Nope. Stores only. I phoned my local ‘The Source’ store (2 of them, actually) only to be told that the special was only for a handful of select stores in all of Canada (and we’re a damn big country). However, I was told that I could have my local store order one in, as long as I agreed to sign a 2 year contract with Bell for the device. Hell, yessiree, I’ll do that! Three weeks later, (yesterday actually) I got the call from a very nice employee at ‘The Source’ store, telling me my ipad mini 3 had arrived and that I should come on down to sign up for the Bell contract. Now, apart from my job as a writer, my day job is that of a self-employed sole charge physiotherapist in a busy clinic. This means that I had to clear my schedule of patients for a one and a half hour slot (mucho lost income) to go do this. No matter. I wanted the mini. No more lugging the comparatively HEAVY Macbook Pro around on holidays with me so I could continue to write whilst away. Well, jumping to the conclusion of this sad story, after several attempts, the nice man at The Source was unable to get me signed up. He put in a call to some kind of Help line and was told that he would be unable to sign me up for a contract with Bell because I had not had a cellular contract with Bell within the last 90 days. Well, says I, I have NEVER had a cellular contract with Bell, let alone within the last 90 days, but hey, that’s why I’m here – I WANT to become a Bell customer and I’m fricking frothing at the mouth to sign a 2 year contract with them so I can have my wonderful, light-as-a-feather, portable-as-hell ipad mini 3. C’mon, C’MON, GIVE ME THE CONTRACT – WHERE DO I SIGN?? Help line guy says, yeah you can sign her up but only for the full purchase price of the mini 3 – an outrageous sum of just pennies under $600 CAD). Not available no way, no how, for the advertised price of $99. And apparently ‘The Source’ is only allowed to sell Apple products in conjunction with Bell contracts. Now I want to compare this to Apple’s biggest competitor, AMAZON and the amazing marketing move of Jeff Bezos . Amazon has sold its tablets AT COST to customers, who then become Amazon converts and buy a bazillion dollars worth of stuff from Amazon, more than making up for the mark-up loss incurred with the sale of the tablet. Just thought I’d share this tip with you Bell Media, The Source, and Apple. Give it some thought. Oh, and if any of you afore-mentioned three want to make amends and make the $99 purchase with 2 year contract happen for me, well, I’m willing to bury the hatchet. And I’d blog about that, too. In the meantime, I’m feeling as snarly and revengeful about this whole thing as Mrs. Hanley was when she made her infamous stew, which revolted some readers (“Eeww! I can’t believe she did that!”), and enthralled others (“OMG! I just LOVE Mrs. Hanley and this story! I can’t believe she did that!”). 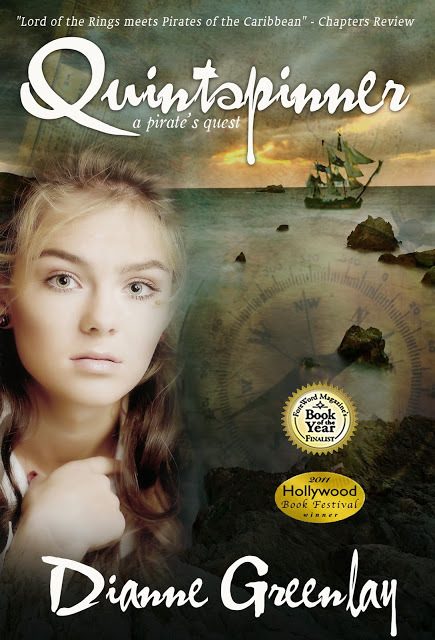 The stew scene is in Chapter 73 in QUINTSPINNER – A PIRATE’S QUEST. It’s $.99. On Amazon everywhere. That’s 99 cents, not even $99 (dollars) like the mystical, non-accessable-to-me-ipad mini 3 offer. And I bet you’re gonna LOVE Mrs. Hanley’s stew scene! There. I feel (slightly) better now. I’m going to charge up my little ASUS PC netbook (which is pretty portable and which has a wonderfully responsive keyboard) and then I’m off to compare Amazon tablets because I have a reading/writing holiday coming up …. Thanks for listening. Go get them Dianne! You have every right to be angry about this. There is no excuse for it. I think the $99 offer should NOT have been in a bulk mail-out, if the offer was going to be limited to only 3 or 4 cities in the entire country. But I guess every company has their own “hook” in the ad copy. Thanks for reading, David! Damn – what a crock. I’m a PC user with a Kindle, and that’s where I’ll stay by the sound of it. Talk about messing the customer about. Whatever happened to ‘customer as King’. I agree, Kerry, some companies are better than others, and some a bit too big to care about the little guy that they built their company on. Thanks for dropping in! I hope to read here very soon that the company has overturned their questionable policy, and taken advantage of your very generous promise to forgive! I’d pay good money to see you “fricking frothing at the mouth”. Ha Ha! Careful! It could have been rabies… Thanks for dropping by!